Frankfurt. The Volkswagen scandal on pollutant emissions continues with unexpected implications. At the request of the German Government, various institutions have actually started extensive checks in all domains where there are regulations on polluting gases limits. In this scenario, during a check conducted on 24-year old German climber Alexander Megos during his workouts, the investigators at the IFSC (International Federation of Sport Climbing) have detected emissions out of control, compared to the Euro 6 standards imposed by the EU. The tests have been carried out in the gym during the exercises at the training board, and the athlete’s pollutant gas emissions were up to 30 times higher than normal for some components, including Würstel and Sauerkraut particulate, Weissbier vapors and the level of magnesium carbonate (MgCO3), commonly known as chalk. In the test procedures, prepared by the UK institute FNRI (Flatulence National Research Institute), particular attention has been paid to noise pollution, which also resulted to be out of range, exceeding 70 decibels. 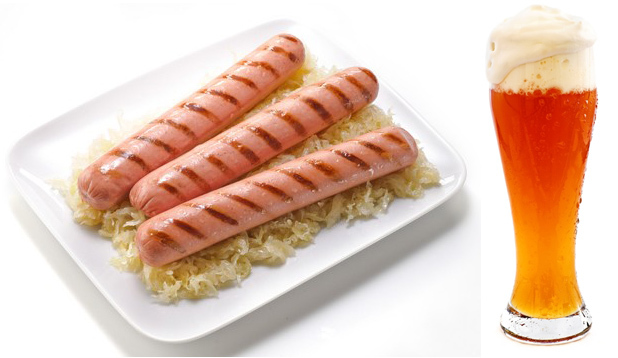 The climber was very surprised about the results of the tests and said that he has a clear and clean conscience because he hadn’t eaten Würstel for two years, Sauerkraut had always been hard to digest for him and he doesn’t drink Weissbier because of his bladder problems. Concerning the noise pollution, the athlete declared that it was just an innocent goliardic habit he used to share with his friends in college. 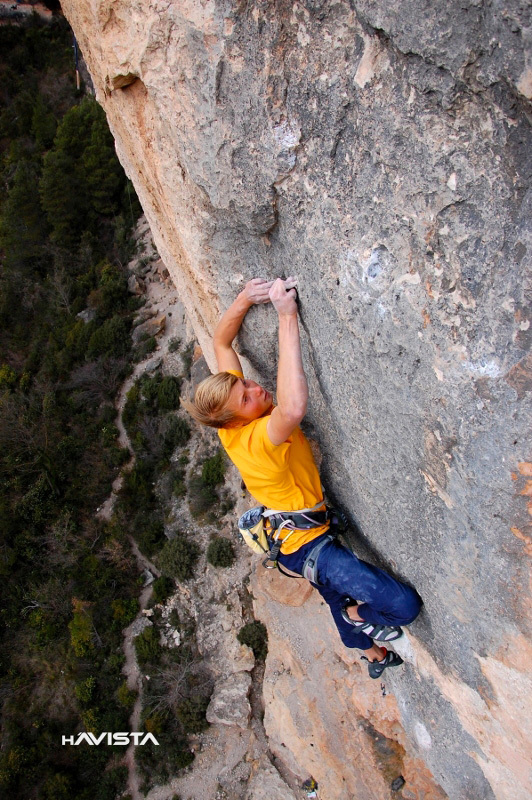 Meanwhile FEDME (Federación Española de Deportes de Montaña y Escalada), suspicious after such revelations, has ordered an inspection in Siurana, where Alex Megos made the first on-sight ascent of a 9a route called Estado Critico, in 2013. The first results seem to be explosive: at the base of the route, hidden in a hole in the rock, was found a chip designed by Volkswagen which contained a software that, according to the technical expertise, would have had the task of enlarging the holds during Megos’ ascent. The device, set into motion by a system of fingerprint recognition placed on the first hold, recognized the hand of Megos and allowed, through a mechanism hidden behind the rocky surface, for the expansion of some of the crimps of the crux, making the route much easier. Further investigations are being conducted and it remains unclear whether the athlete was aware of the trick or whether this was a maneuver of the German Climbing Federation to help the young climber, without his knowledge, in overcoming this important step. Chancellor Angela Merkel said that she was shocked by this outcome: «We will undertake all the necessary actions to clarify this issue and the ones responsible for this will pay. But we will not accept any imposition on our eating habits». There exists the possibility of the scandal to escalade, since the IFSC intends to test all the athletes participating in the World Cup. The climber Stefano Ghisolfi, from Turin, protested. «I will never give up on eating bagna cauda [a traditional local soupe, TN] before the competition: eating some garlic gives me the right energy and even my girlfriend willingly accepts my bad breath if it improves my performance», said the Italian National Team top athlete. On the other hand, the Japanese Sachi Amma said that he doens’t see any problem in this respect: «Dr. Zanchetta, it means that I’ll eat less sushi: giving the prices that you have here in Europe, in six months I’ll buy a new apartment in Tokyo».